Made with Birch veneers and select hardwood solids and finished in a light gray paint for clean and crisp appearance. Classic Louis Phillippe styling with ogee shaped top moulding and bracket feet. 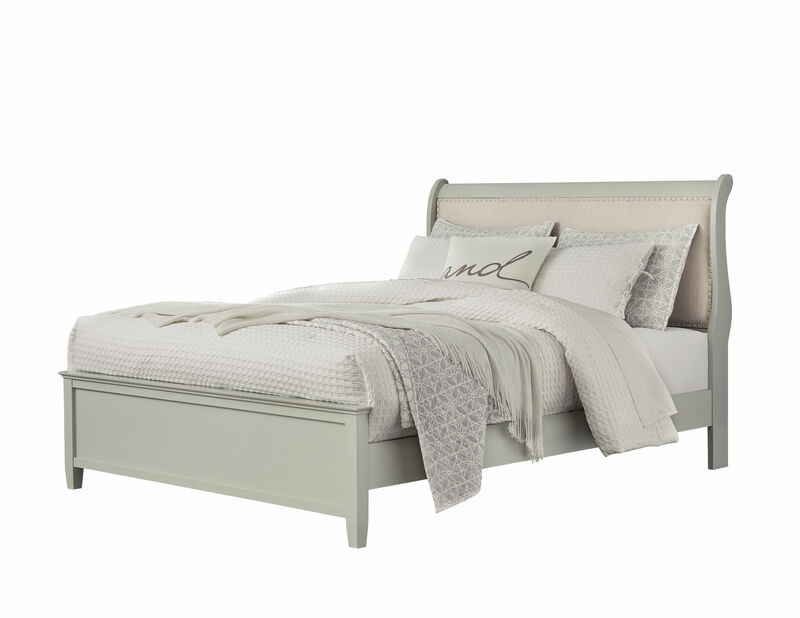 Sleigh bed has an upholstered panel with a textural gray-white fabric with nail head detailing. Knob hardware on cases with antique brass finish. Drawers have French/English dovetailed drawer boxes with center drawer glides.